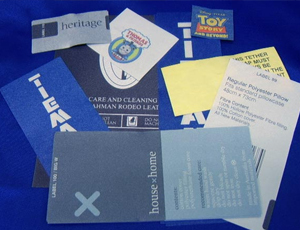 design, sample and supply a woven label. 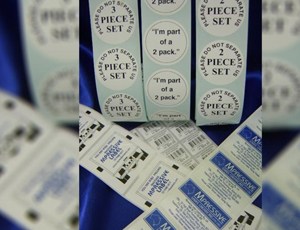 Basic printed size labels, barcode stickers to custom made printed or woven labels, swing tickets and printed ribbons from design to supply, mpressive labels does it all. Mpressive Label Creations has a wide range of materials and foil colours readily available to produce custom made printed labels that will make your garments really stand out on the shelf. Woven label are the best way to add extra class to your garment, give it that finishing touch and let your customer know you produce quality garments. Mpressive Label creations can produce Swing Tickets to your own specifications and requirements using a range of thicknesses. 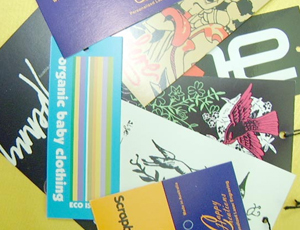 Mpressive Label Creations can produce a wide variety of adhesive made to order labels in Melbourne to suit any need. 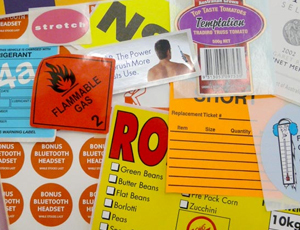 If you want your labels supplied on a roll, that’s no problem! 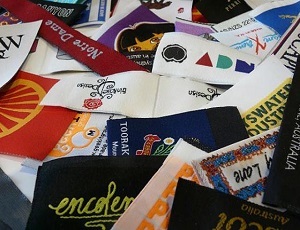 We can tailor the tag to suit. 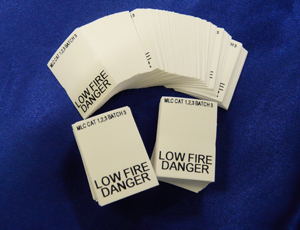 Mpressive Label Creations understands that sometimes metal badges are a more appropriate method of labeling. 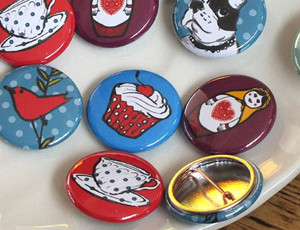 We are able to completely personalise your badge to suit your brand or the product. 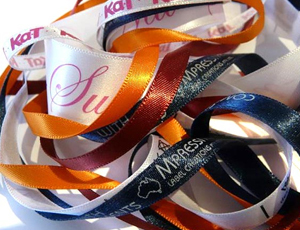 Mpressive Label Creations carries a wide range of double-sided woven edge satin ribbon to meet your every need. Want to customise that wedding gift or add that finishing touch to your merchandise? No problems! 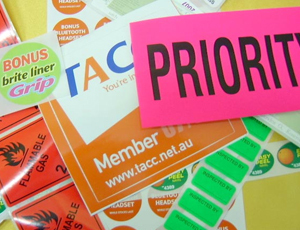 Mpressive Label Creations is able to produce standard or custom stickers in Melbourne that can be used for a variety of applications. Whatever your product is, it will really stand out with these! This is the name given to a traditional method of printing that utilises film, printing plates and ink. Offset printing in Melbourne is actually the method that we use for most of the orders that are placed with Mpressive Label Creations.